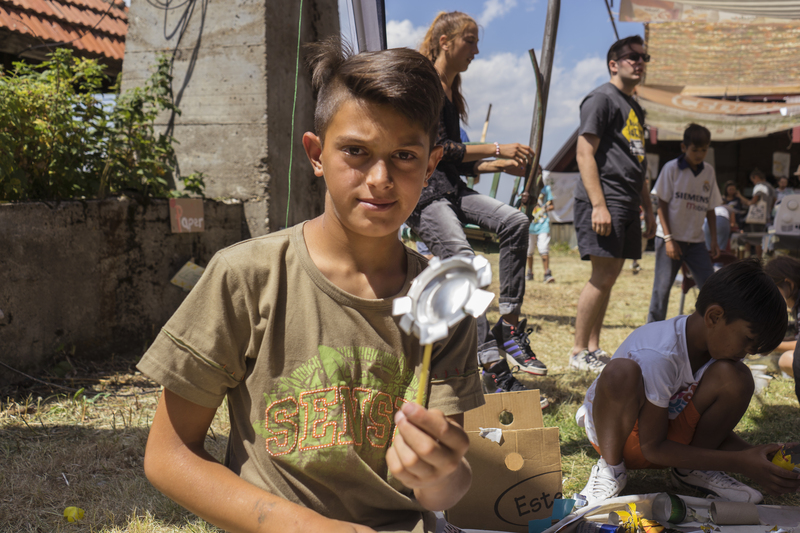 Panagiota Prepa, a volunteer from Greece, was one of the two main powers behind a day dedicated to activities for children during BREfest. 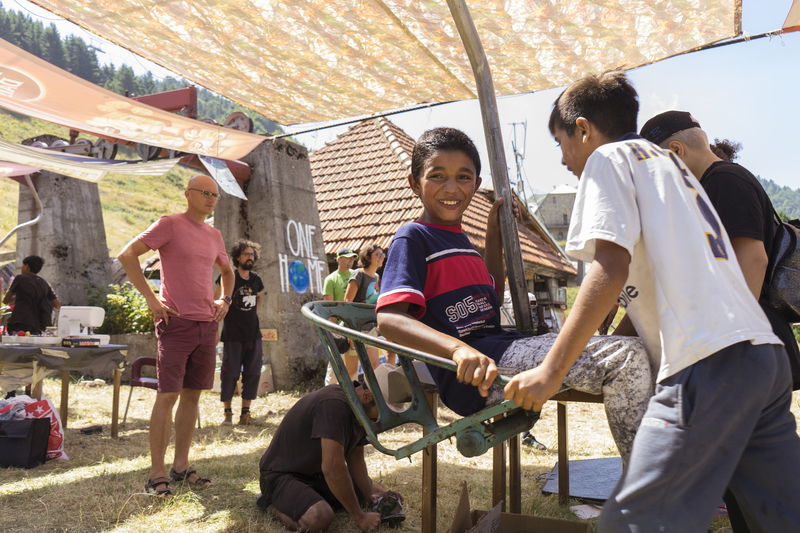 Penny together with Helena from Croatia put their energy into creating games, workshops and atmosphere where children from Imaginatorium, alternative education centre in Gracanica, discover, explore and experience Sharr mountain for the first time. Below read in Penny’s story. 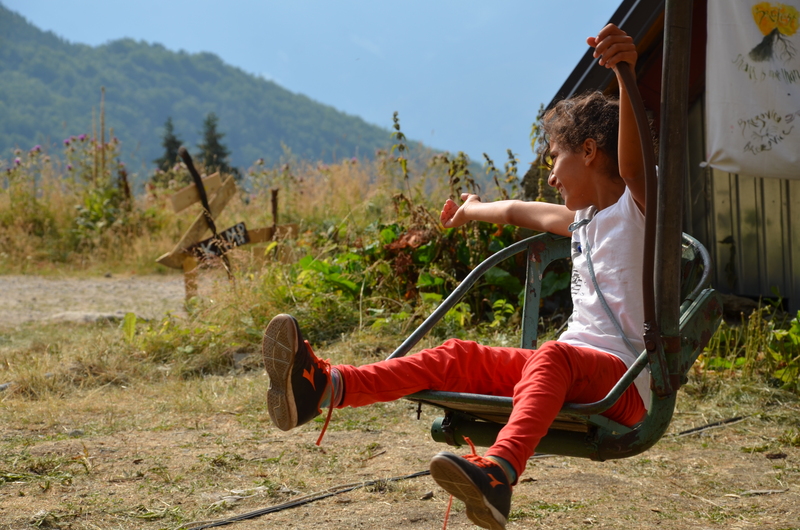 BREfest took place at Brezovica on 11th- 13th of August. 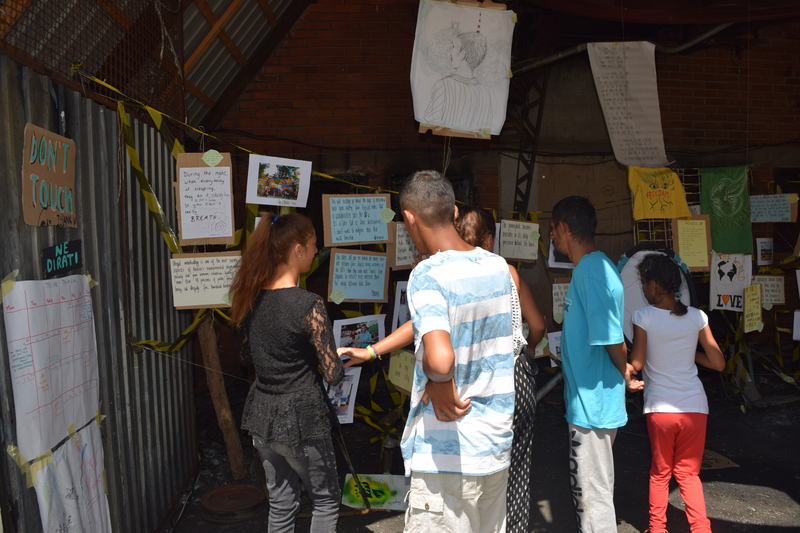 During this festival, we had different kinds of workshops and discussions. One of the moments that we will all remember is the day that Imaginatorium children came. A few days before, we started to prepare all the activities. Full of energy and passion for those little creatures, we made a plan for their day. Of course, it’s obvious that when you make a plan for a kid maybe the plan will change completely before you start, or you will just skip everything you have planned… So we were more or less flexible and ready to response to the mood of the children. First of all, we separated the parts of the day to mental and physical activities. We created an educational walk, where we explained and showed the different kinds of herbs, plants, trees, flowers and animals that they could find in Sharr mountain. 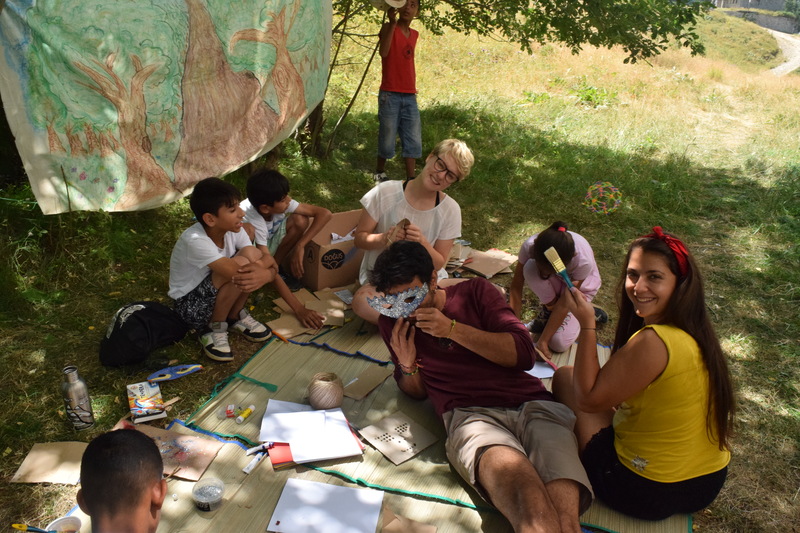 After the walk, a ‘recycling art’ and ‘creating your own mask’ workshops followed. The children enjoyed these activities a lot, they were curious and full of energy. Cutting paper, drawing on it, decorating it with flowers, and other things. They did a great job at the recycling corner by decorating a bottle’s outside and inside, and making organizers from old CD’s. After the lunch break, we started hiking in the mountain, and we admired stunning views. Children were calm and peaceful, they were looking around the scenery and enjoying the moment. They tasted blueberries and you could see that they used all of their senses to enjoy the moment. Body moves, touching by hands, observing with their eyes, tasting with their tongue, thinking with their minds. The walk ended in Capoeira Angola lessons for kids. 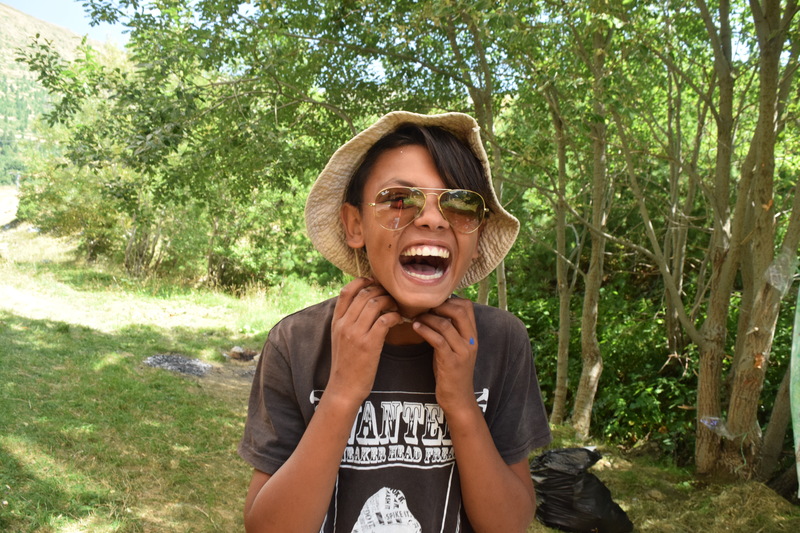 The activities were perfect to connect the children even further with nature. Lying on the ground, touching the grass, feeling the vibes of the fresh air. Together before the dinner we painted part of a street wall, expressing our feelings. Almost a day passed and before the departure they lit a fire in the main BREfest area. Traditional music and crazy dances filled up the stage. The children taught us some traditional dances so we could join them. The whole day ended with long-lasting hugs, huge smiles, strong feelings and personal involvement from both sides. This experience will last a life time. 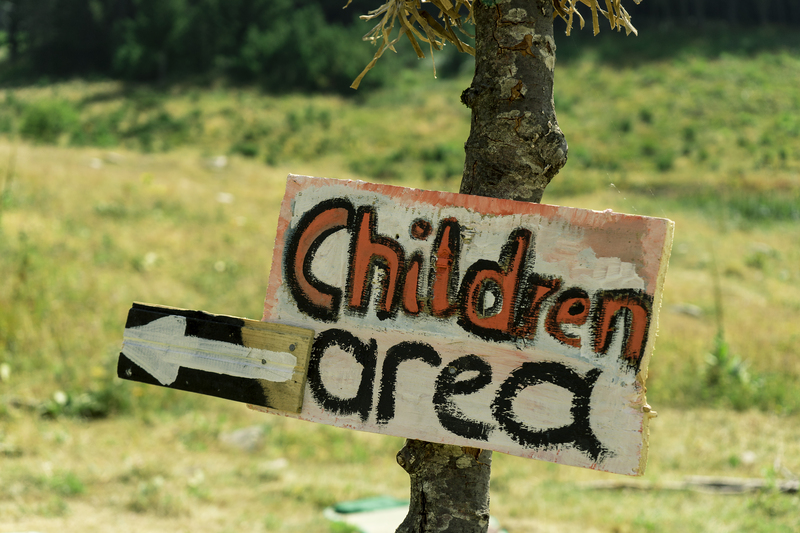 Those Roma children were completely connected with the environment. They were open-minded, and even if we couldn’t understand each other’s language, we understood each other’s feelings perfectly. They didn’t know us at all, but they gave us their hearts. Even if it was the first time that they saw and talked to us, they shared their lives, their experiences, their thoughts, their deep feelings in a pure way. And also, we tried to give more than our best. 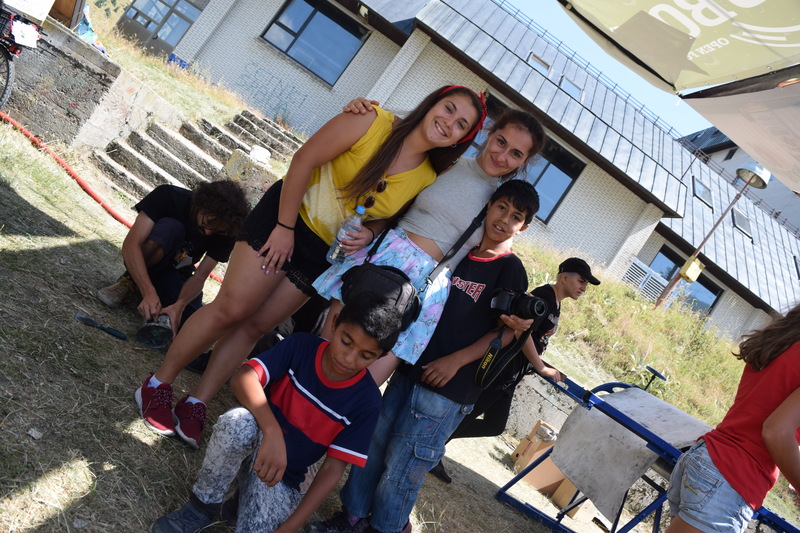 Penny and 17 other young people from around Europe joined a short-term EVS “All colours of Sharr mountain”, part of Thinking like a mountain… project, financially supported by Erasmus+ programme of the EU.